Cataño, Puerto Rico – Puerto Rican super prospect Subriel Matias (10-0, 10 KO’s) from the Maternillo neighborhood of Fajardo, won by technical knockout in the fifth round over Mexican Adrián Estrella (28-2, 24 KO’s) in combat held at the park Pedro ‘Perucho’ Cepeda in Cataño as part of the event promoted by Fresh Productions Boxing. The fourth round was a action packed for both fighters. 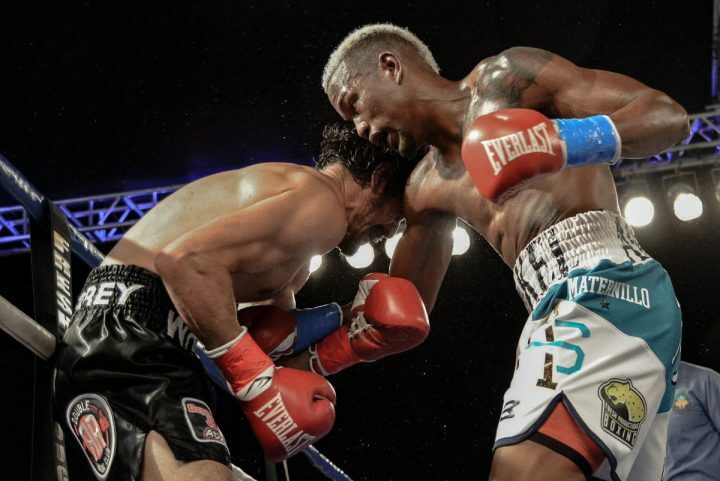 Both were connecting blows with bad intentions, but in the second half of the round, Matías was able to connect accurate shots to the body and face of the Mexican Estrella who was in bad shape once the round was over. After that, Estrella decided not to continue with the bout.